Welcome to the Facebook Marketing Strategy series in which we share the best practices for how to use Facebook for business! This is part 9 of the series. When it comes to Facebook shares, there’s a lot for publishers and content marketers to think about. Not only do you have to create the right content for your audience, but you also have to make sure you’re writing persuasive intro copy, selecting the best possible images, and making it easy for users to share. Copywriting is a good way to get a leg up with social sharing, and there’s no better place to share content than on Facebook — the most popular social media platform that attracts 1.32 billion daily active users and 2.01 billion monthly active users. If you’re well-versed in copywriting, you’ll be able to create more engagement on Facebook. That’s why we’re sharing 6 copywriting tips to drive more Facebook shares. Ever wonder why you’re so enthralled by a TV show or a book? It’s because you don’t know what’s going to happen next in the story. Cliffhangers work wonders when it comes to Facebook shares. Which celebrities are pregnant with baby number three…? 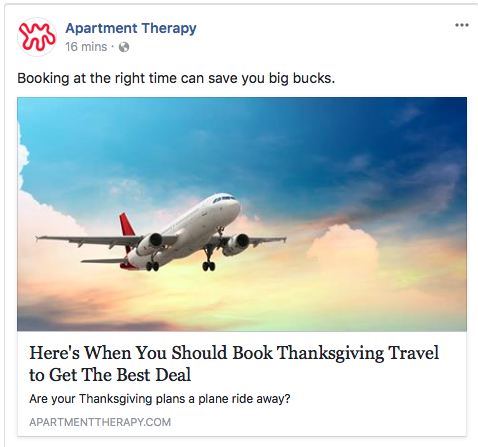 For example, Apartment Therapy, a home decor and lifestyle publication, shared this post on Facebook with copy that makes users wonder. In order for users to find out the best times to schedule flights, they have to engage with the post. Marketers and publishers often make the mistake of touting details rather than the benefits a user gets when they engage with content. They write about what the article says, without explaining why a user should click and read. When it comes to driving shares on Facebook, you want to make sure you’re highlighting what your users will get out of the content you post, not just its features. When it comes to persuasive copywriting, the primary tactic is to be crystal clear about who will be reading and engaging with the copy. Facebook, in particular, offers marketers and publishers the ability to drill down and target an audience. When you create Facebook Ads, you can target users by gender, relationship status, education, workplace, location, interests, behaviors, and more. Because of this, you can develop a good idea of who you’re sharing with, and come up with copy that fits this audience. Ask yourself what words they would use, how they would position a Facebook post to their own friends and family, and what issues matter most to them. One of the most successful copywriting tactics— whether it’s for a website or for a social media platform like Facebook— is to be timely with what you post. That means that you should write copy that satiates the interests your users are having right now. For example, the United States was recently a blur with news and worries surrounding Hurricane Irma, which hit the Caribbean and Florida in early September 2017. 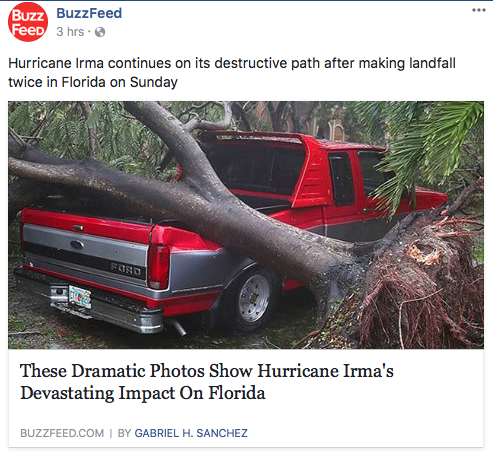 When Facebook users scroll through their feeds in the days afters, BuzzFeed served the content they actually want to see. The copywriting experts at Copyhackers have reported that the copy on Facebook doesn’t matter as much as images. Because of this, it’s essential that you not only match your copy to the image you select, but also consider including key messages on the images themselves. 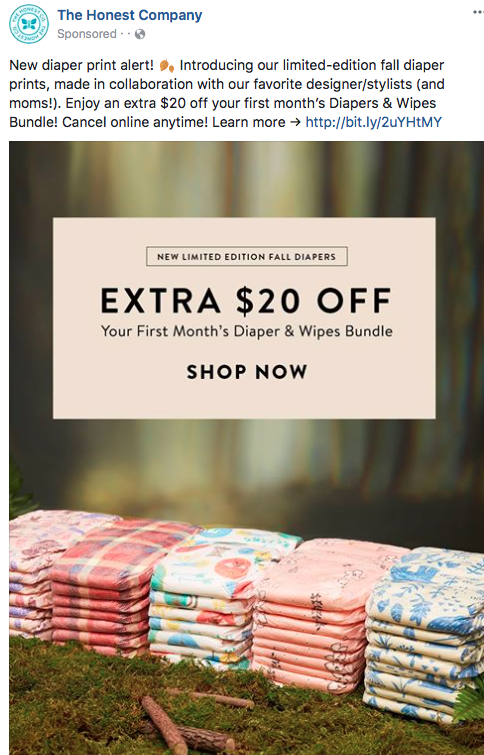 Although the The Honest Company, a retailer of diapers and organic children’s products, is not a publisher, its Facebook copy and images are inspiring. The company deliberately puts copy on their Facebook Ads to encourage users to engage with the content. Just keep in mind that Facebook doesn’t allow brands to publish images that are covered with more than 20% words. When publishers write copy for Facebook, they always have the best intentions. 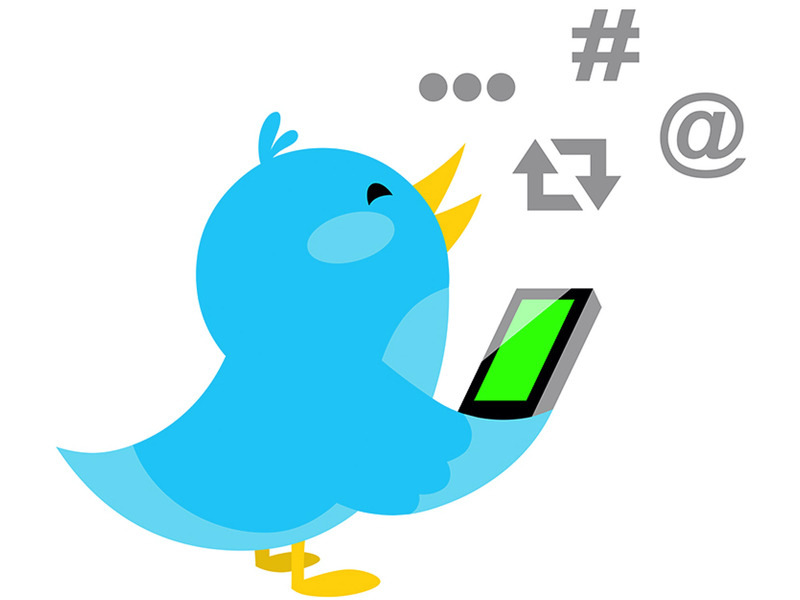 They set out to create compelling copy that’s easy to read and tempting to share. It’s preferable to have more than one person look at the Facebook post before clicking publish. In addition to checking for spelling and grammatical errors, pay close attention to anything that could be perceived as offensive content. Ultimately, if you write copy that’s easy to read and engaging, people on Facebook will want to share your content. Once people land on your content, you want to make sure that you have the right sharing buttons such as Facebook share button to drive more traffic to your content. 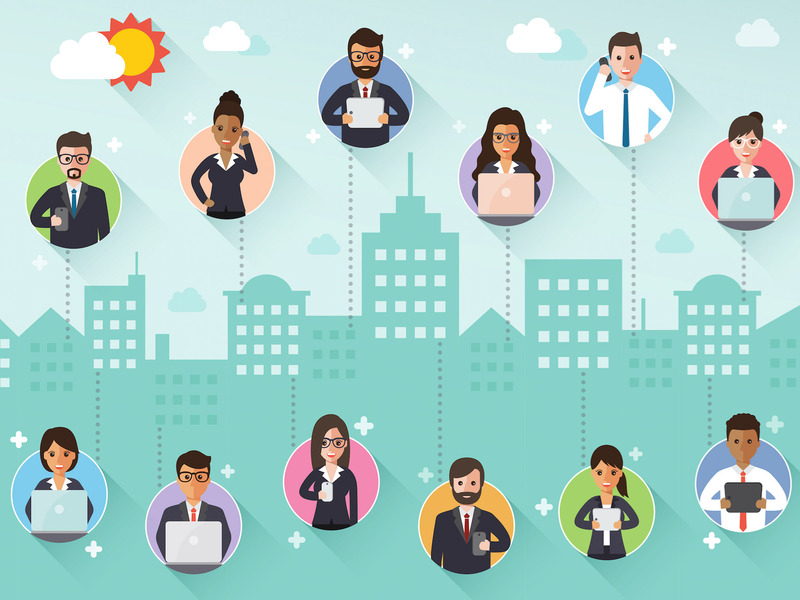 Want to build your audience on other popular social channels besides Facebook? Check out these posts.